First, open the home page of IREPS application www.ireps.gov.in and click on the Login button on the Home page and choose the option E-Tender Goods & Services. If Java Security warning pop up opens, please click on Continue button. If the Cancel button is clicked, the user will not be able to login, and the browser window will have to be closed and re-opened. 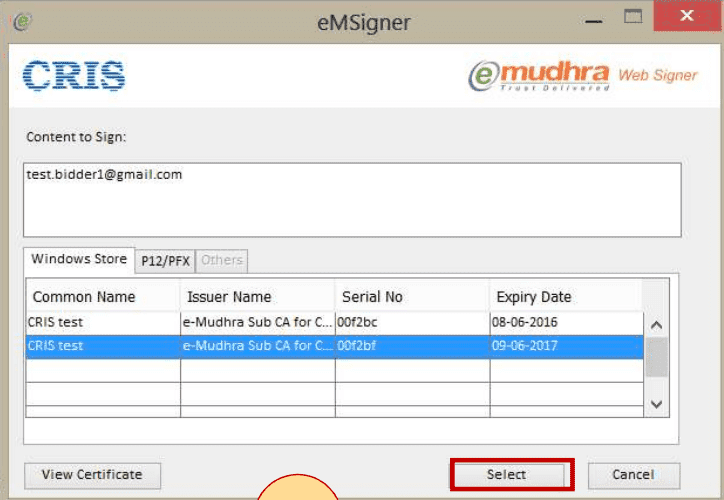 Please insert your Digital Signing Certificate (DSC) USB token in USB drive of your computer, enter your Username and Password (sent by EPS admin through E-Mail) on the Login page, and click on Login button. This will open the web signer applet. 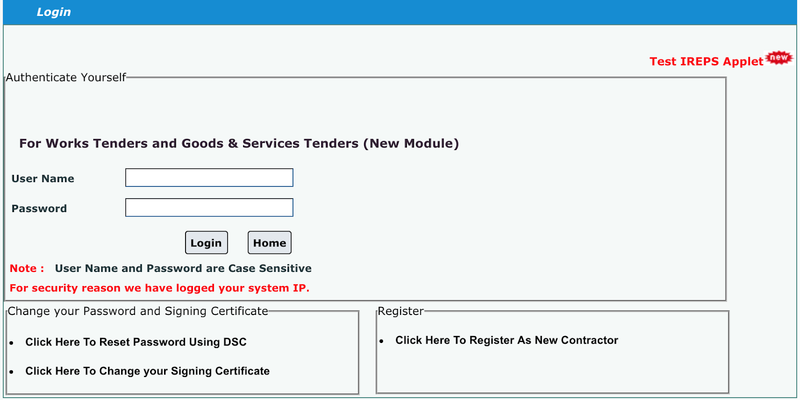 Please select your digital certificate by clicking on it (which will be listed in the web signer only if the DSC token is already inserted into USB drive of the computer), and click on Select button. You will be asked to enter the DSC token password (provided by the DSC supplier). Enter the password and click on OK button. At this point, the Vendors who are logging in for the first time will be presented with the Change Login Password screen as shown below. It is mandatory to change the password when you are logging in for the first time. Please follow the steps mentioned on the screen (see next page), and click on the Save button to change your password. After the change of password, the Bidder Home page will open. The change password page will not be opened during subsequent logins. However, in accordance with the password policy, the change password page will again be displayed to the user if a user password is more than 60 days old. 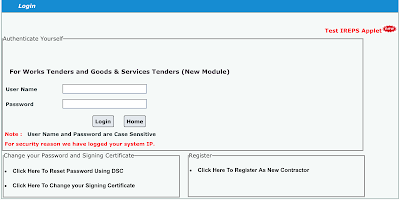 How to Login into IREPS Application as a Contractor? How to login into iMMIS through IREPS as a railway User?